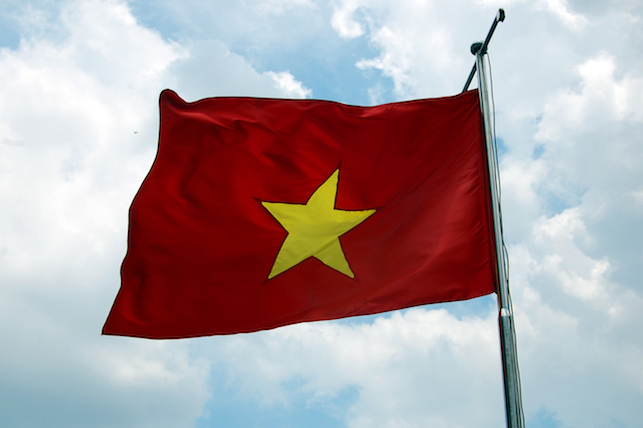 Back from Vietnam and it took me over a week so sort out all my photos before I could even attempt to start documenting our amazing trip on the blog. 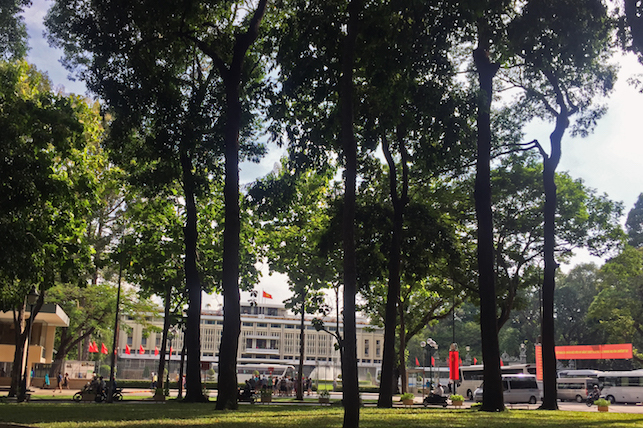 The heat and humidity in Ho Chi Minh City hits you as soon as you leave the airport - as does the noise of the millions of bikes on the roads. They say there are four bikes for every person in this crazy Asian city but four people on every bike. Nothing about the bikes will surprise me anymore - they ride on the pavement, down the wrong side of the road, through red lights. Not to mention you can fit whatever you want on the back, your whole family, pipes, a ladder and when it rains don't worry about your poncho going over the headlights or mirrors. Another thing I found amusing was the men sitting on street corners with tool and a little generator to fix a bike if it broke down on the way past. 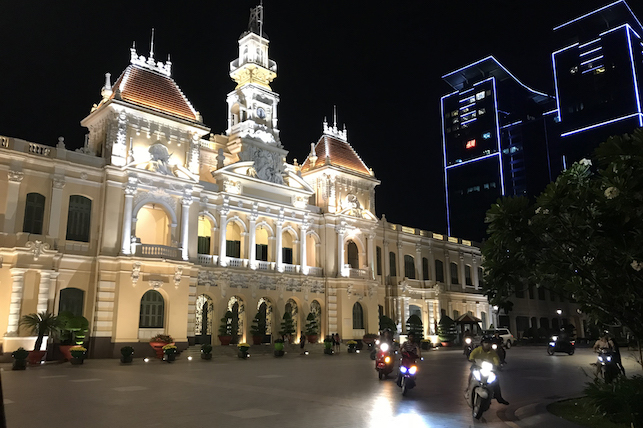 We spent two and a half days in Ho Chi Minh City at the start of our trip and 24 hours at the end before we flew back to Scotland. That left plenty of time for exploring and taking everything in. 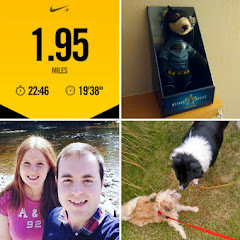 We didn't really do very much apart from walk the streets and see as many landmarks as possible. 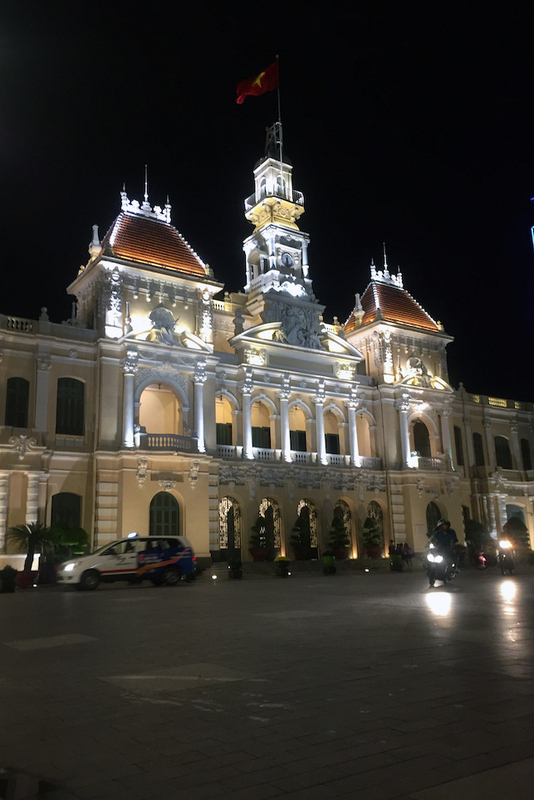 One of our walks included a trip around Ho Chi Minh City Museum to learn more about the history of the city and the war which is still so close in peoples memories. 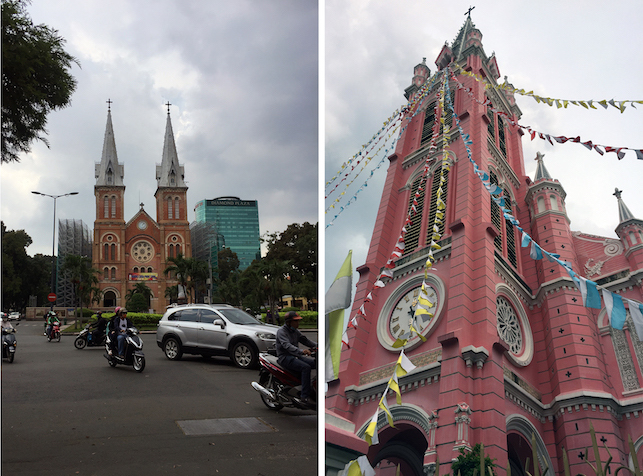 We also saw both Notre Dame Cathedral of Saigon and Tan Dinh Church both pictured below. We also got to visit Ben Than market which was just as crazy as we expected (and actually not the best place to shop) but I didn't get any photos because of the building work going on right outside. 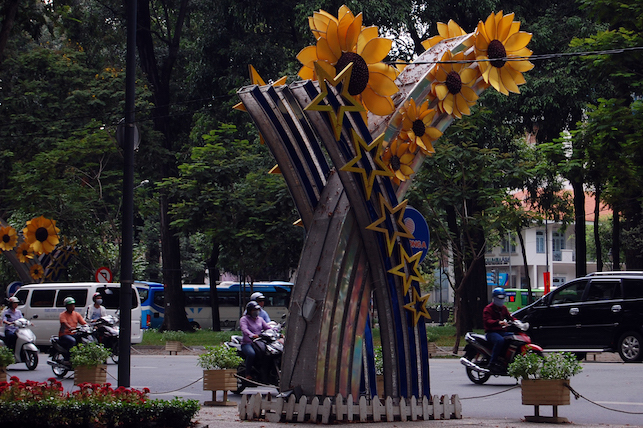 We did some shopping in the streets outside and across the road at Saigon Square. 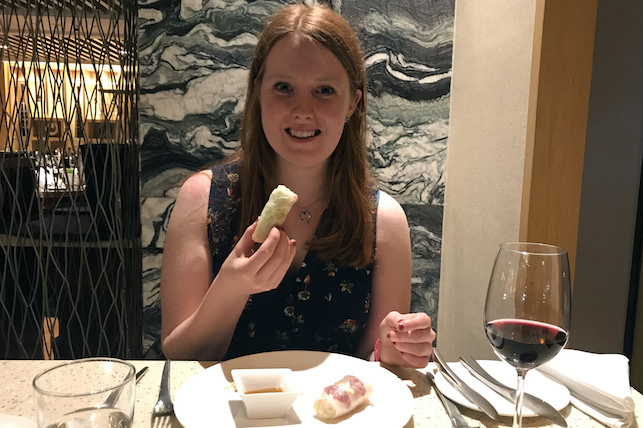 Choosing places to eat in a city as big as Saigon was difficult but we had a delicious buffet meal at Market 39 full of authentic Vietnamese food and delicious seafood. We also had a very tasty Mexican tea at Rico Taco. 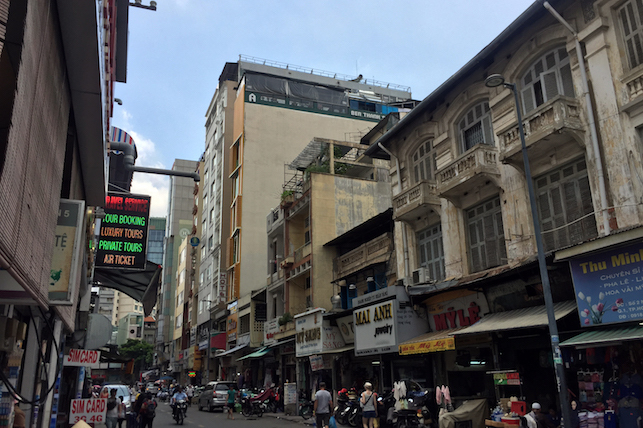 On our second visit to Saigon we stayed further away from the centre to experience something a little quieter. 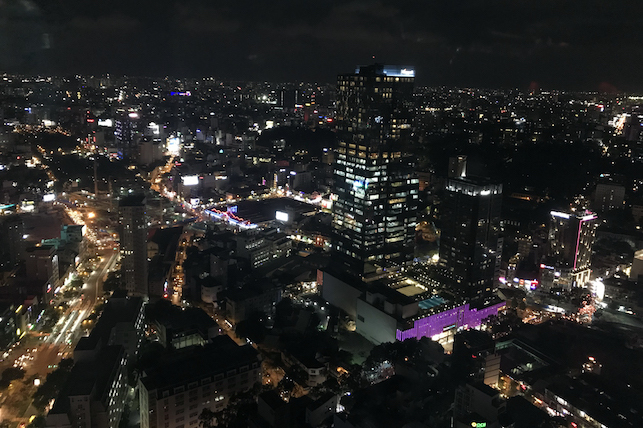 The Alcove Hotel was lovely and even had a roof top bar we could experience the views across the city. You can tell the area is full of locals rather than tourists and it was interesting to see them all cooking and eating on the streets. 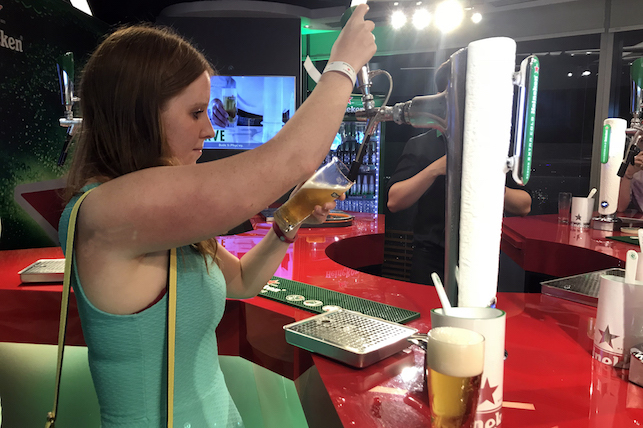 Once the sun went down we decided to head to The World of Heineken on 60th floor of the Bitexco Financial Tower. Not only were the tickets a bargain but we got an amazing view of the city. I could have stayed up there all night drinking and looking at the view. 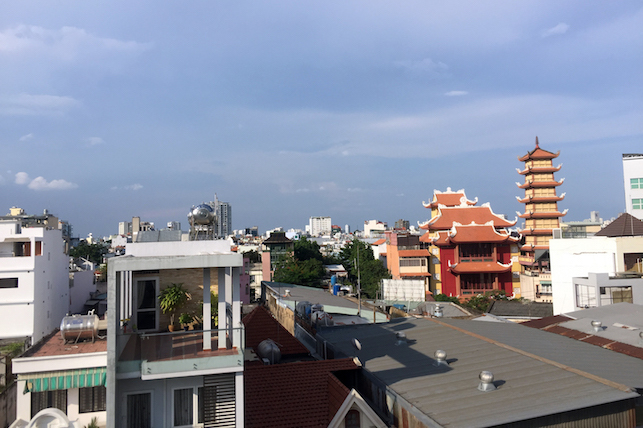 The next part of our trip involved an hour long internal flight to the north of the country and the beautiful river side town of Hoi An - the old town in a UNESCO World Heritage Site so we had high hopes.